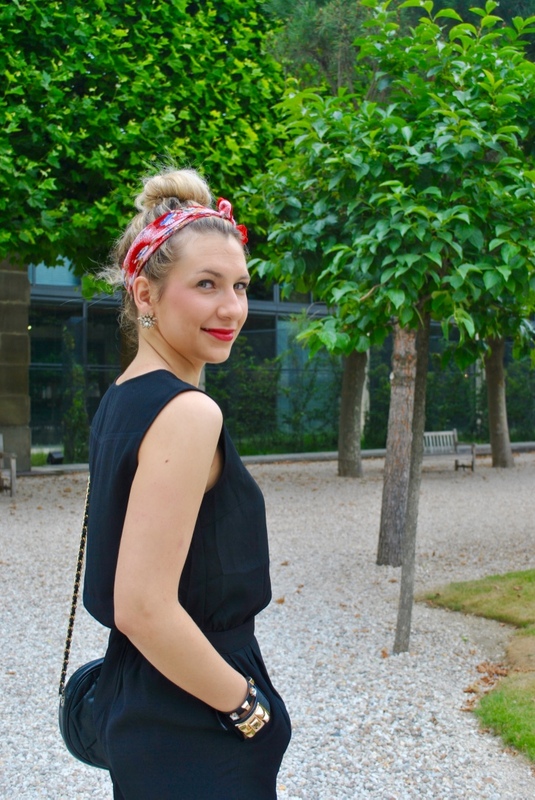 Let me present you my new love : this black jumpsuit ! My favorite outfit for everywhere, the office, after works, drink with a friend, movies with my boy.. it simply goes with everything and it’s so simple : just pick up shoes and voilà, no need to worry about matching top and bottom. And for once, it’s not vintage and handmade, you can actually buy it too ! It’s from Forever21, you can find it here. It’s super versatile and very comfortable to wear, I feel like a baby in his onesie in it. To accentuate the vintage look I put this red scarf-headband that I have since I’m a little girl ( it might be my first scarf ! ), red lips and mirrors shades for a chic touch. We went to eat Falafel in the Rue des Rosiers that day with my sister, I never have falafel before coming to Paris and it’s one of my favorite food now, perfect for a quick diner with my friends. 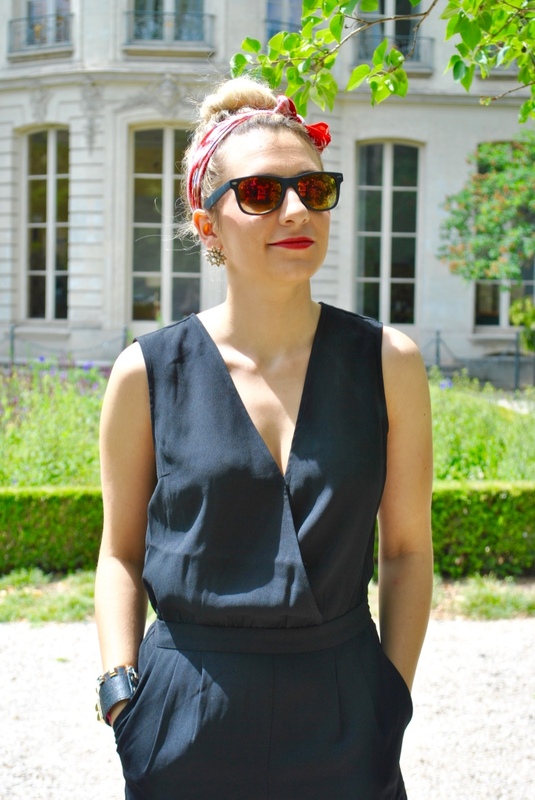 Publié dans FashionÉtiqueté black jumpsuit, combi noire, combinaison, madamedaniel, outfit of the day, tenue printemps, vintage chanel, vintage lookMettre en favoris le permalien.